A teen cancer sufferer who used social media to raise almost $6 million for charity died Wednesday, triggering an outpouring of condolence messages from celebrities and politicians. 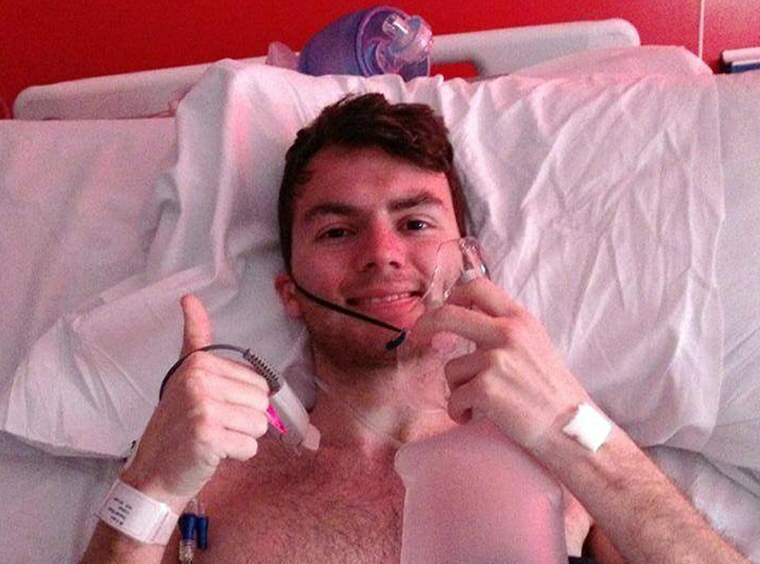 Stephen Sutton was aged just 15 when doctors diagnosed him with bowel cancer. Rather than dwell on his misfortune, the British teen drew up a bucket list of things he wished to achieve before he died and set out to raise £10,000 (about $16,700) for the Teenage Cancer Trust. However, dozens of celebrities including comedians Ricky Gervais and Russell Brand, The Who’s lead singer Roger Daltrey and British Prime Minister David Cameron backed Sutton's efforts and his campaign soon attracted attention worldwide. After making what he described as "a miraculous recovery," Sutton was discharged from the hospital earlier this month following a successful surgery. However, the 19-year-old shared news with his supporters on his Facebook page Sunday that he was again posting from his hospital bed. I'm deeply saddened to hear that Stephen Sutton has died. His spirit, bravery and fundraising for cancer research were all an inspiration. Less than 24 hours after his death, donations to Sutton’s JustGiving page soared from $5.4 million to more than $5.8 million. Sutton's death was front-page news in Britain on Thursday.